It feels like it is the beginning of winter in England! Days are getting shorter day by day! But I have no complains because we had a beautiful summer. Market stalls are still selling late summer vegetables along with autumn specials. Peppers of various colours are being sold in big bags and baskets, and it is very difficult for me to walk past without picking them up! They look incredibly tempting!! 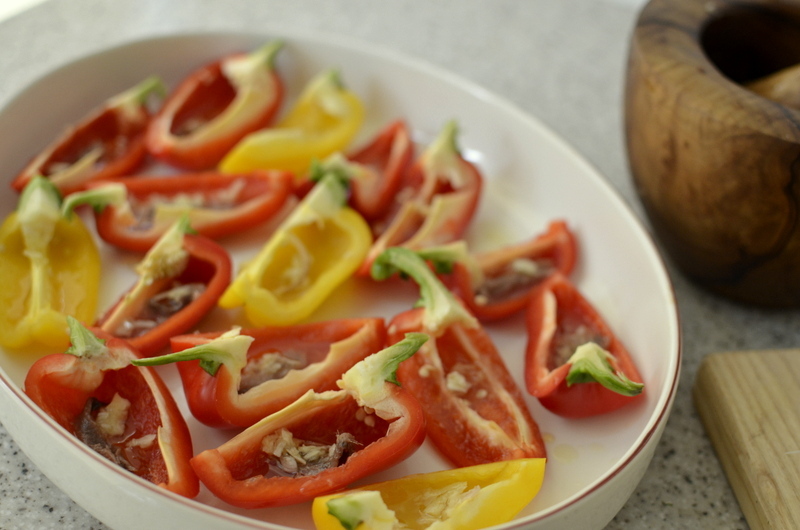 Fresh bell peppers are delicious in salads or when served with dips – crunchy and sweet. But when they are cooked or roasted in an oven they become sweeter and decadent. 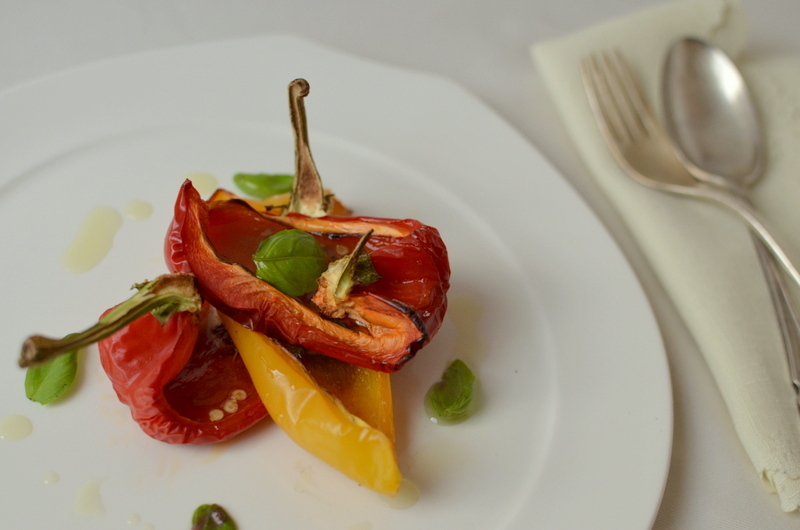 I had this roasted pepper dish at a friend’s place a few years ago and I fell in love with them instantly. 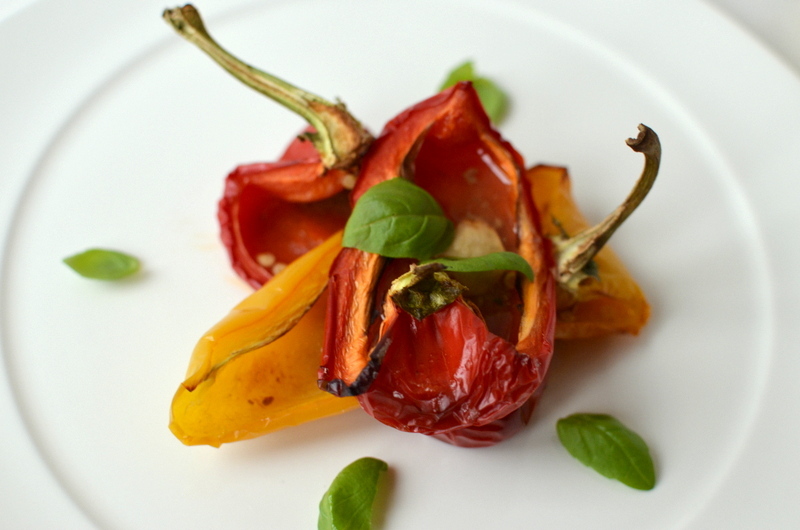 In recent years it has become a regular item in my menu whenever I pick up a bunch of colourful peppers from the farmers market. 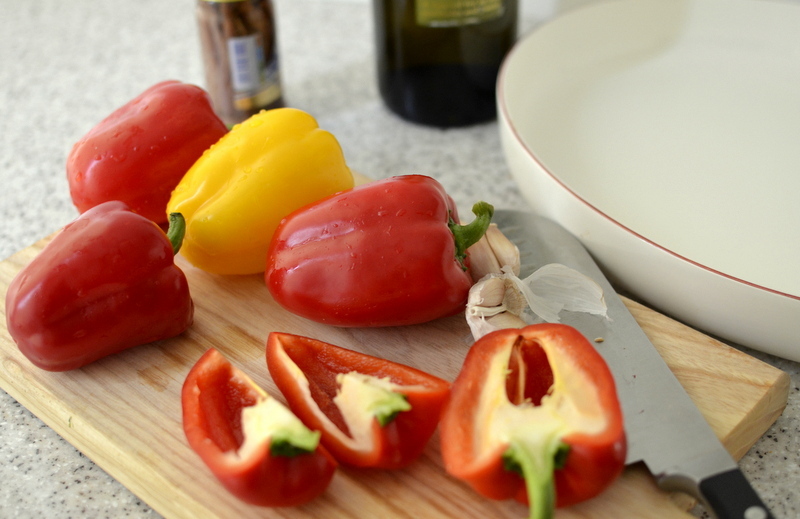 It is a very simple dish to make – just cut and roast the peppers in the oven ( 180 degree centigrade for 40 – 50 minutes) with a drizzle of good olive oil, some sea salt and chopped or sliced garlic with a small piece of anchovy in the middle of the pepper piece. You can serve them warm or cold as a side dish or as a starter, but personally I love to have them as a main dish with nice crusty bread.